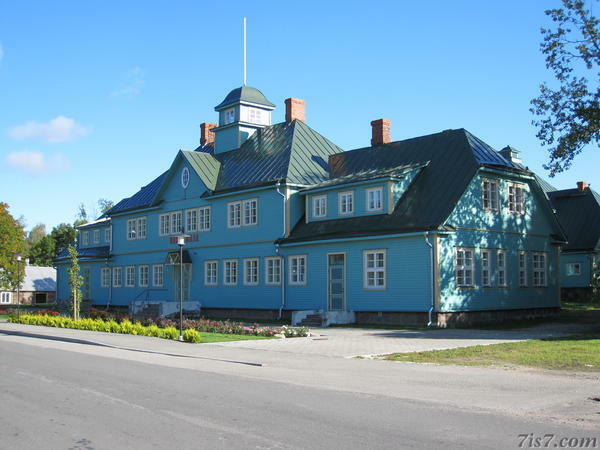 The Kadrina community center (rahvamaja in Estonian) is a beautiful example of a style of wooden buildings built during the first Estonian republic. The center was built in 1930 by the Kadrina Educational Society. Location: 59°20'31"N 26°7'52"E on: Google Maps, OpenStreetMap, Maa Amet.